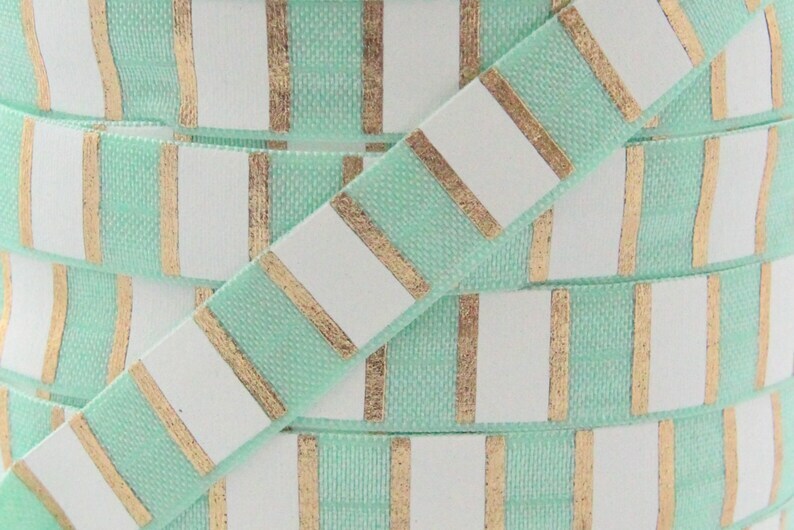 This listing is for 5 yards of soft and stretchy fold over elastic (FOE) in Pastel Green Stripe Metallic Gold Print . The elastic is shiny on one side and matte on the other. Perfect for DIY headbands, hair ties and other accessories.